Thank you Ozeri for sending me this 8" Green Earth Pan for review. I was not paid for this review and all opinions expressed are mine. 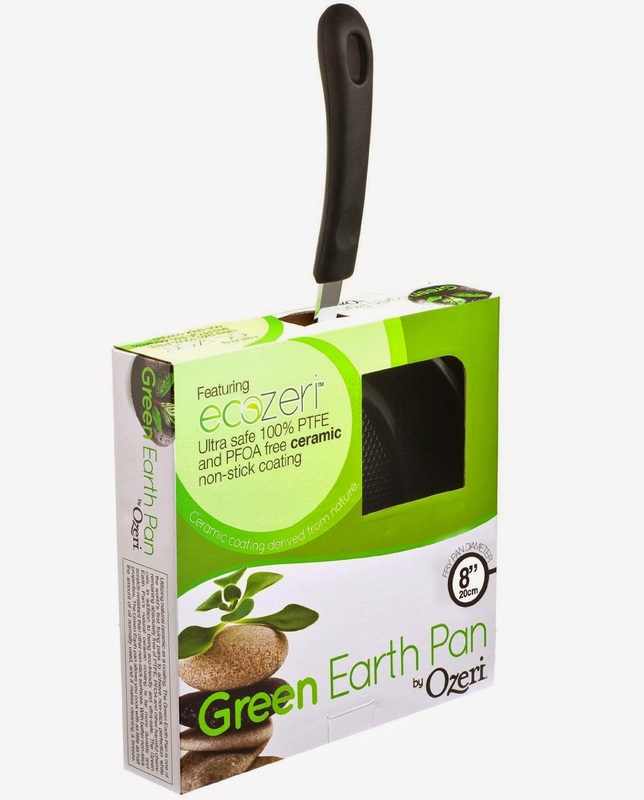 the Ozeri Green Earth Pan utilizes GREBLON - an ultra-safe ceramic coating from Germany which is 100% PTFE and PFOA free. 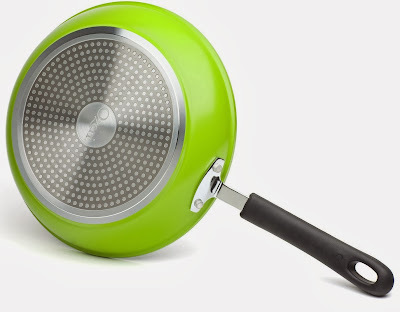 I was excited to review this pan because I read some reviews that seemed to all portray happy customers. I will not change that trend. As a mother I am very thankful that this pan is safe and free from nasty chemicals that are harmful. Safety has become a huge priority since becoming a mom. There are so many chemicals to be aware of in our products and even food. Thank you Ozeri for making me have to worry less about feeding my family. The non stick portion stood up to the egg test. We cooked eggs and had no issues with cleaning the pan. The egg left no mess in the pan and that made me super thrilled. The only thing I need is the 12" pan to go along with my 8" one. The prices of pan are great and very comparable to other pans.